What if STERLING completes a Frequency Search for us, and there are no channels available in the market we want to reach? Do your studies include breakdowns of ethnic population? When should we put together a “Business Plan”, begin fundraising, and incorporate? How do we decide which is the best for us? AM, FM, LPFM, LPTV, TV? When do we get to choose our call letters? What is the average price for a complete station, engineering and equipment before we start the Frequency Search? How do we locate a tower site for our station? Do we have to incorporate and is this hard to do? Where do we get music and programming for the station we want to start? Unfortunately, this does happen. The most likely areas for negative results are the major cities like DC,NYC, Chicago, Detroit, Miami, Atlanta, Denver, Dallas, and the New England states. This is not to say that openings do not exist in/around those markets and other “BIG” markets, but many cities have no spectrum vacancies (under the current FCC rules) for any additional full power stations. Good news is FM translators, Low Power FM’s, Low Power TV stations are often able to be licensed and operate in these congested markets as “secondary services”. Our approach to help with this situation is a little different than most expect. In a market that is extremely congested we work outwards in a circular pattern until we find the nearest possible opening, or if you specify, we work in one direction. This way, you do have the opportunity to consider the nearest available channel that could operate as a station. If the findings result in nothing of interest to you or your ministry, or are outside the realm of a viable station, another set of options is an existing station purchase, management arrangement, or programming time purchase. To do this, you must contact each station of interest. This can be time consuming, but is the only good method. If you’d like to investigate this opportunity further just contact us so that we can provide you with the information to get started with your purchase. Yes, if you specify this in advance. We are happy to provide this information for you, but due to the great amount of detail that goes into the search results, it is not an automatic feature. We are able to show you the following population groups: White, African American, Hispanic, Asian, Native American, Hawaiian. We urge our clients to wait until after the Frequency Search step has been completed before they go into to much time with business plans and budgets. There are too many questions (some are big-ticket items) that cannot be answered before the Frequency Search. Actually, the best use of your time initially is to share with us your target or goal and the cities you wish to reach with your station. The outcome of the search will then supply you with the information to build a knowledgeable, accurate business plan, a way to gather supporters, and the best direction for incorporating. incorporation). We discourage fundraising except among your tightest contacts prior to the FCC having received your application because of the risk of your plans reaching “the grapevine”. A great many, expensive, time consuming projects could have been simplified had our clients not spoken of their plans openly. The good intentions of someone sharing information sometimes finds its way to someone with different intentions and goals that can greatly affect the process. As your corporation is eventually for the purpose of owning and operating a station, until we are ready to file the application, there is no need to incorporate. We also want to have the application presented in its best light before the FCC, and your board member choices can be somewhat based on their location to enhance the standing of your application(s). In the worst case, if one were to incorporate early, and no resources available for which we could apply, you would have a company without an outlet. There are many variables to this and we will attempt to keep it brief, but you are welcome to call so that we can discuss your questions more in depth over the phone. In most cases, FM is the most widely used spectrum in any market. Almost everyone tunes in to a FM station during any given day. This is a great, affordable spectrum. A condition for choosing FM or any of the other spectrums is confirming the availability of a vacant channel for which we can apply. Normally, we recommend that our radio clients always check (run a Frequency Search) a market of interest for FM openings before buying a station, starting a new station, moving a station, considering AM, etc. That way you know exactly where the market stands before you begin making decisions. LPFM, stands for Low Power FM. These are smaller 100 watt ( & perhaps 10 watt stations at a later date) that the FCC accepted applications for during the years 2000 & 2001. These small stations have stringent ownership requirements, but often meet the needs for non-profit corporations that want to do a very local station. These will also sometimes work in a market where a Full Power FM is not allowed because of congestion of the band. At this time, we do not know if LPFM stations will once again become available for filing new applications. For AM, unfortunately it is not so popular anymore. Often for AM, the listener’s are senior members of the population or those that enjoy “talk radio”. In recent years AM equipment has been developed that rivals and matches the quality of FM, but it still seems there is a stigma attached to it. Many demographic groups of our population have never tuned to the AM band nor understand it. We recommend AM searches to be completed by our company if you have sought and found no FM opportunities. AM does offer potential, and may see a revival of interest, many of our AM clients are doing very well, but again, if a FM opportunity is available, we recommend it over the AM. 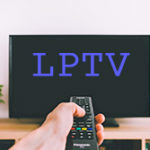 LPTV stands for Low Power Television. LPTV is probably the fastest growing new station opportunity. Low Power TV stations are generally community-based stations. In other words, rather than covering a “region” such as East Tennessee, the market is confined to say 15-45 miles in any direction, starting from the transmitting point. LPTV’s can be licensed and on the air very inexpensively (thousands to hundreds of thousands), can operate on UHF or VHF, still offer openings in congested markets, operate on a more relaxed FCC set of requirements, can be carried on cable stations, and have a variety of programming resources. TV. Most are familiar with Television stations, if not from the startup perspective, at least from the couch perspective. This is more expensive, and you should expect to spend many millions. As well, recent rules require a full power station to transmit a digital signal making the startup much more expensive. Please contact us to discuss your specific Full Power Television questions. The FCC issues call letters after you have your Construction Permit. It is a very simple process you initiate by letter or online. Most often our clients provide us with a list of their choices and we file the paperwork on their behalf. The call letters you choose can be used by any AM, FM or TV, but only one set of call letters per service. For instance, no other FM can currently be using the letters you request, if you have a FM Construction Permit. No. We are an engineering/consulting company. To meet the needs of our clients, we review equipment, recommend equipment and work with a handful of hi-quality Christian equipment dealers that our older clients have come to rely on, and recommend. Our biggest reason for not dealing in equipment is to maintain a hi-level of credibility with our clients. From the initial engineering, until the station is on the air, we are seeking the most economical means to work for you. We do not receive any income from dealers for helping them generate sales. This is an impossible question to answer. There are 4 big-ticket items to each station, the studio, transmitter, tower and antenna. So, it could be $8,000 to $200,000 or more depending on the power of the station, the setup of the studio, new tower or rented space, property, wattage, height, antenna required, modifications to existing facilities, level of automation and staffing preferences, and several other items. Some of these questions you will be able to answer – as they are preferences, but some equipment choices are made by technical engineering requirements. The big-ticket items purchase price can be predicted accurately by performing a Frequency Search. Another reason the Frequency Search is necessary, is that while it answers the above cost questions, it also answer’s whether the output of the station will reach a population large enough to support the cost. Your tower site can be confirmed before or after the Frequency Search. Sometimes a client will have an available piece of property or tower they wish to use. Sometimes your site will work and sometimes it will not, if not, a new location will need to be secured. So, you can provide us with actual specific locations for a tower (perhaps property you own) or you can give us a city, state area to search and (if necessary) we provide you with an alternative proposed site and a listing of towers available as found in the FAA’s database. If towers are available we provide you with all contact information in the FAA’s database. When you must locate a tower or property, you would take our Frequency Search results and contact the owners of recommended sites, request their permission to use/rent/lease tower-space or property. Each Frequency Search, in completed forms comes to you with sample letters for you to edit and present to a tower or property owner. Also, there may be additional towers available below the 199′ level that might work well for you, but are not in the FAA’s database, so this portion of the project may require a little legwork from someone on your side. Many towers under 199′ we cannot see because there is no maintained database of such. Usually the best thing to do is drive through the area, and look for towers, drive to the tower base, and take contact information from the site you’ve located. Info would include FCC id #’s, coordinates, call signs, anything like that. Also, GPS units are very inexpensive now, so carrying one is helpful and convenient. Lastly, in some cases, no more tower space will be available, and any number of ways around this must be sought, such as contacting some of the local churches and explaining what you’d like to do and inquiring if a member of the congregation may have property available. Or, have a local real estate agent locate property or rooftops that may work for putting up a tower or hanging an antenna (you wouldn’t have to make any purchase). Be creative. This way, you can file the application and once a Construction Permit is received either purchase the property, lease it, rent roof space, erect the tower, whatever is necessary. If a piece of property has since sold that we’ve used as a site, we must locate another site and file an amendment to the CP. Incorporating is only required if you plan to file an application for a Non-Commercial FM station (88.1 – 91.9). The FCC will only accept applications for these channels by a “non-profit” corporation. All other broadcast services can be applied for by individuals or “for profit” corporations. We would also like to state that in some cases it is simply easier and safer for you to hire a local attorney, who specializes in corporate law to take care of this phase of start-up. However, you can do the initial work yourself and we will be happy to help answer your questions. Incorporating is not a hard project to accomplish. You can start by contacting your Secretary of State online or via phone. Request or download the “How to start a non-profit corporation” package – or similar. It will have everything necessary for you to quickly complete the initial steps. This includes name registration, writing and filing of Articles of Incorporation, assigning Board Members and their position with the corporation, and ultimately the states approval and licensing of your corporation. After you are a licensed corporation with your state, you would proceed to a Federal level. At the Federal level, we highly recommend you hiring an attorney for this final portion. It is important that your attorney understand the nature of a Broadcast Corporation. Contact us for our recommendations and assistance. Music and programming is readily available and inexpensive. We recommend you have at least one satellite receiver, perhaps more depending on your format needs. There are dozens of satellite programming providers that have hi quality sound and programming, with the latest and greatest music available to you for a very inexpensive price. Most monthly fees range from $200-500 for 7 days a week, 24 hours a day. This means that for as low as $200 a month you have the ability to sound like a top quality, big budget station from day one, even if your entire staff is just one person. In addition, initially you may only be able to produce a 2 hour local “morning drive” program, and be wondering how you are going to come up with the extra 22 hours daily. Satellite programming solves this supplement problem. Downloading satellite programming offers the additional feature of being able to put it directly into your hard drive and mix and match it through the day, build your own play list, edit downloads in your own production studio to create your own programming, and many other great features. Now this doesn’t mean to imply that you’ll not have a music library. But a physical library is very expensive, and satellite programming allows you to bite off the library expense as you are able. We can provide you with the names and contact information of many satellite programmers. Please contact us for this information.